The kings of psych-rock are back on the road following their stint in the US this summer. Elder hit Europe for an extended tour this autumn, with dates across the continent. And this time, they are bringing Ancestors back from the States with them. The Los Angeles based psychedelic-post-doom band is making this a show not to be missed. 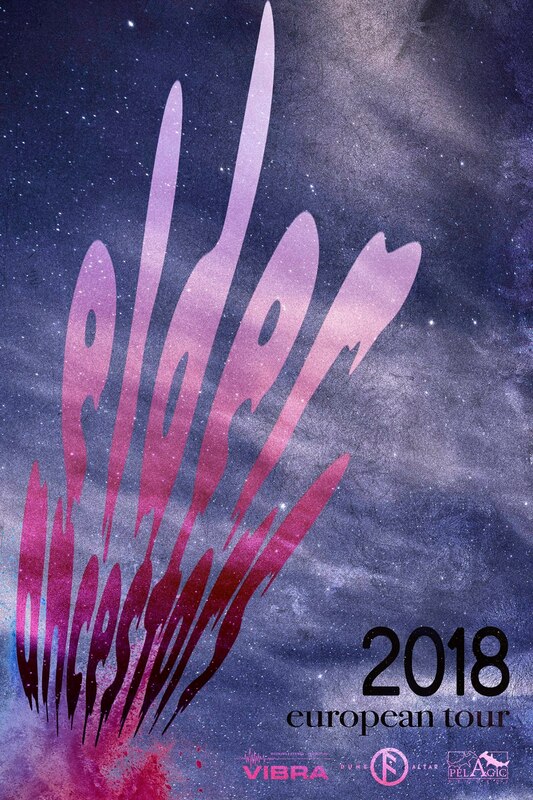 As you might be aware, Elder‘s 2017 album Reflections of a Floating World won critical acclaim with the staff here at Everything is Noise as well as the wider community, as you can see here in our review. Ancestors are all causing a buzz this year, with their first album in 6 years – Suspended In Reflections – due to be launched on August 24. From what we’ve heard so far, this record might be contending for the spot that Elder occupied on many doom charts last year. Having caught Elder last year at their London show, I can attest to their prowess live. They are also really humble, as you can hear for yourself in our interview with Nick DeSalvo. Make sure to head down for one of these dates, you shan’t be disappointed. Elder can be found on Facebook and you can listen to Reflections of a Floating World on their Bandcamp. Keep an eye on Ancestors‘ Bandcamp for their album Suspended in Reflections out August 24 on Pelagic Records. And why not give them a like on Facebook? Previous PostThoughtpilot Return With A Playthrough Of "Enter Earth"